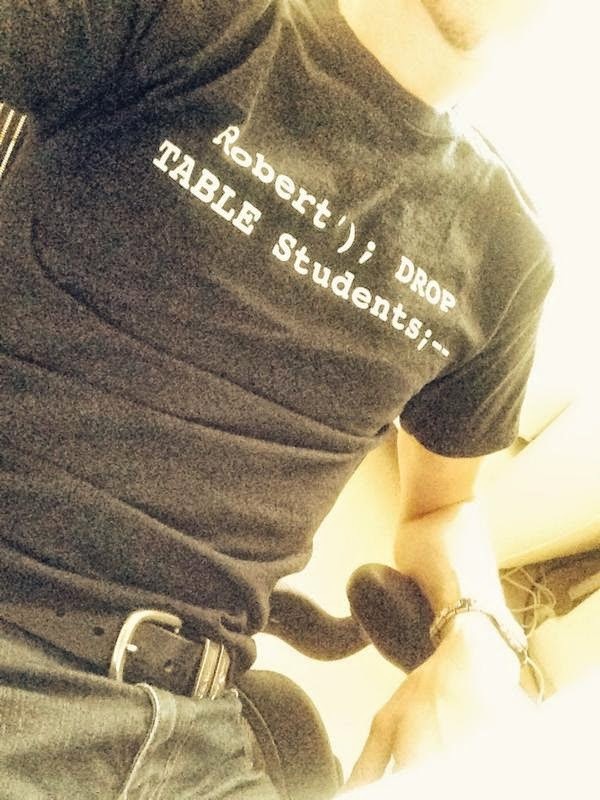 Thanks to Troy Hunt for tweeting this picture of a Little Bobby Tables t-shirt. Unfortunately I wasn't able to find a store that sells these currently, or I'd have linked to it. The search did turn up some other interesting SQL injection related merchandise, though, so there is that.